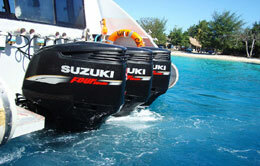 Gili Cat Fast Boat is the foremost boat enterprise that enables you to transport using fast boat. 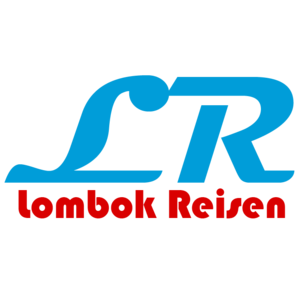 Established in 2007, it has made service for years and becomes the best one in serving people who want to go by boat to Lombok from Bali and also from Bali to Gili Trawangan or the other way around. 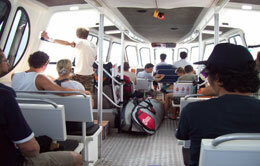 Gili Cat Fast Boat provides you fast, reliable, affordable, comfy and safe services. Clients satisfaction is what makes they stand for service for many years. Hence, your satisfaction is number one for them. That makes traveling by boat to Lombok and to Gili Trawangan with Gili Cat Fast Boat memorable moment and leisure. In addition, it provides free pickups and drop offs in Bali Harbour: Ubud Center area, Seminyak, Sanur, Kuta and Legian. All boats that leave from Padangbai twice a day, 8.45 A.M and 9.15 A.M also make you feel safe during your travel on boat to Lombok and to Gili Trawangan. Every boat from Gili Cat Fast Boat meets all safety, communication and navigation equipment that are regulated by United Nation SOLAS (Safety of Life at Sea) Convention. Moreover, the captains and the chief engineers are experienced more than ten years serving and achieved internationally recognized certificate. The Boat with three staff on board accommodates up to 22 passengers. This 11.25 meter length boat can speed until 34 knots. This few number of passengers will give you opportunity to feel relax during your travel. The boat that can travel until 35 knots accommodates up to 34 passengers. This three-crew-boat has a bigger size than Gili Cat I. It is 11.58 meters. With this fast boat, traveling to Lombok and to Gili Trawangan will be unforgettable moment. So, if you want to sail by boat to Lombok from Bali and from Bali to Gili Trawangan, Gili Cat Fast Boat is the best choice.